Located near Lake Michigan, Timberlake Resort Campground is a great place to take the family for a fun vacation destination. With several acres of forest land surrounding the campground, families can spend time hiking or swimming in the heated outdoor pool. Whether you decide to stay in a cabin, tent, or RV, the scenic background will fill you with peace and relaxation. RV resort memberships for sale offer several types of units at Timberlake Resort Campground. Cabins will sleep from four to ten people and offer a kitchenette, table and chairs, full bathroom and electrical outlets. Heating and air conditioning are available in season and you will need to bring your own linens. Shower and laundry facilities are also available for your convenience. These comfortable cabins are perfect to relax and enjoy time with family and friends. The campground is also pet-friendly and Wi-fi is available. On-site amenities include a heated swimming pool, camp store, and clubhouse for the children. During the summer there are themed weekend activities for the family and a variety of outdoor activities. Play horseshoes with your neighbors or spend time on the lake fishing or paddle boating. You can take your pup out on the hiking trails as long as you keep him on a leash or relax around the fire pit in the evening and make s'mores with the kids. Summer activities include a Fourth of July golf cart parade, live bands, and cookouts. During the winter months, you can go snowmobiling, cross-country skiing, or a variety of other activities. Hunters can also use the resort as a home base during hunting season to gather with friends. Spending time in Michigan is a great way to enjoy quality time with family and friends. 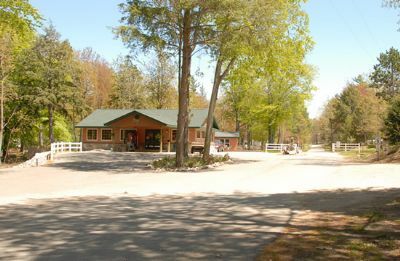 When searching for a unique place to stay – RV resort memberships for sale can offer several different options with Timberlake Resort Campground. 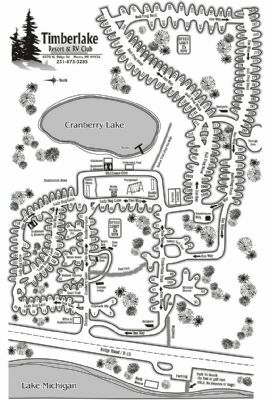 The resort is not only close to the lake, it is also close to restaurants and shopping when you feel like getting away from the campground. Hiking and biking are some of the favorite activities enjoyed by guests who return year after year. If you are ready for an adventure – plan your next vacation at Timberlake. Contact Timberlake Resort Campground Specialist Today!